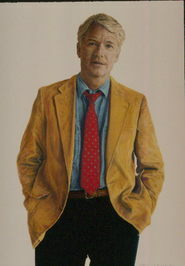 Washington DC author Steven M. Roth earned a bachelor's degree in philosophy and history from Pennsylvania State University and a law degree from Duke Law School. He is retired from private law practice. Steve has published five novels to date – the Socrates Cheng mysteries: MANDARIN YELLOW, THE MOURNING WOMAN, and THE COUNTERFEIT TWIN, and the Trace Austin suspense thrillers: NO SAFE PLACE and NO PLACE TO HIDE. Now he opens a new series – The 1930s Shanghai mysteries of which DEAATH IN THE FLOWERY KINGDOM is the first novel. His presence in Washington, DC and his experience as a lawyer serve him well in sculpting tense, beautifully nuanced novels that blend international politics, the military, and of course crime! When an author is able to strike a chord of fear with the opening lines, then the reader can be assured the designated genre of ‘suspense novel’ is correct. Steve does this with direct ease – “You’re under arrest, Auntie,” I said to the coolie woman, addressing her with the customary title we Chinese use when speaking to an elderly woman who is a stranger. This was not going to be one of my better nights. Some days — most of the time, in fact — I love being a policeman. Specifically, I love being a member of the Special Branch of the Shanghai Municipal Police Force [SMP], being an inspector detective on the SMP. Other days, at times like this evening, I’m not so sure. On nights like tonight, nights when I’m presented with the opportunity to make an arrest at the Baby Wall, the job seems to me to be bad joss — bad fortune. But I do my job nevertheless. That’s what the SMP pays me to do. I am called Sun-jin. My full name, to be accurate, is Ling Sun-jin. I am the second-oldest brother of five sons, and am older than our two sisters, who are the youngest siblings in our Ling clan of seven children. I was standing alone in a thicket of rare huanghuali trees, close by the Garden Bridge, near the place where the muddy Whangpoo River and Soochow Creek come together after flowing past the Bund and the Public Garden. From my hiding place among the trees, I was watching the Baby Wall where some parents come in the night to abandon their newborns, placing them in a pull-down drawer known as the Baby Drawer. I detested this part of my job, but enforcing the laws of Shanghai is what I do. I am, as I said, a plainclothes inspector detective with the city’s police agency whose jurisdiction oversees law enforcement in the combined British and American territory known as the International Settlement. The year 1935 is a time in our city’s history when crime in Shanghai is so unrestrained and so violent that no sane constable- patrolman ever goes out alone after dark to patrol his beat. Nevertheless, as an inspector detective, in spite of the inherent danger in our city, I prefer to work alone, without a partner to encumber me. Fortunately, I no longer patrol a beat. Most violent crimes in Shanghai are committed by the Chinese. The British and the Americans tend to commit fraud and other monetary crimes. The Japanese rarely commit any crimes, but when they do, they tend to commit non-violent crimes, and almost always do so within their own sub-territory, in the Hongkew section of the International Settlement, north of Soochow Creek, along the Whangpoo River.’And we’re off and running and that pace is sustained throughout this fine book. Steve offers a synopsis that outlines the area the novel covers – ‘SHANGHAI, 1935. The Most Alluring and Most Dangerous City in the World Someone is murdering flower-seller girls in Shanghai’s Flowery Kingdom. And it is police Inspector-Detective Sun-jin’s job — his obsession, in fact — to track down the killer and to arrest him, all at great peril to himself and to the people he loves. Sun-jin, as he investigates the murders and deals with his complicated personal life, takes us though the contrasting worlds of East and West in Shanghai — down the city’s dark alleys and streets, through its gritty, crime-infested, triad-controlled underworld, but also into the plush private clubs of its British expatriates and bureaucrats, into the world of popular nightclubs, jazz bands, taxi dancers, and gambling dens, where money and greed thrive, human life means little, and cultures and politics often collide. Through Sun-jin’s eyes, as he investigates the murders, we see the best and the worst of this pleasure-mad, rapacious, corrupt, strife-ridden, licentious, highly cultured, enticing, and most decadent city in the world, in 1935. 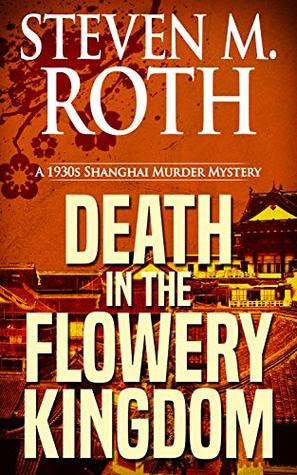 Reading this first installment of the 1930 Shanghai mysteries develops a need to read the entire series – and that is a solid sign that Steven M. Roth is a novelist of significance.